At Emily G’s our mission is simple – “We do everything for the love of food. We believe that what we eat should be prepared simply and naturally with the best ingredients available.” Crafted from seasonal and locally harvested ingredients, Emily G’s Jam of Love is guaranteed to satisfy any jam lover. Our humble beginnings began at local farmers markets selling just four jam flavors. Since those sweet market days of 2008, we listened to our customer requests for more flavors and now offer more than 18 uniquely blended flavorful products. Best sellers include treasured flavors like Jalapeño Raspberry, Peach Marmalade and Fig Pomegranate Jams; we also feature our coveted Pepper Vinegar Sauce (our best kept secret with cooking connoisseurs). Emily G’s acclaims to fame include coverage in Bon Appétit, The Wall Street Journal and Martha Stewart Weddings. We have even been featured on the Cooking Channel a time or two. More recently, Emily G's won a sofi Silver Finalist award in June 2012 at the Fancy Food Show, North America’s largest specialty food and beverage event held by the National Association for the Specialty Food Trade. 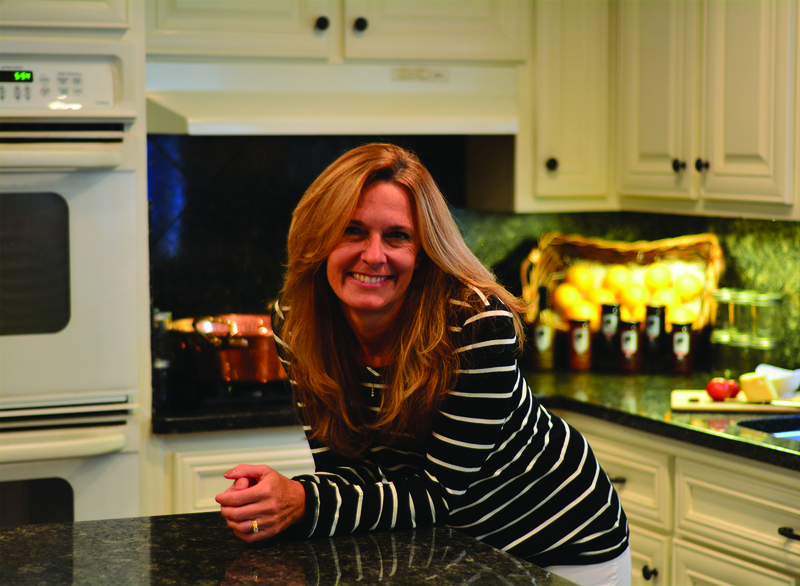 Jennifer Burns, a working mother of four, has a passion for cooking healthy and delicious food. She has made Emily G’s a family business, along with her loving husband and their four sweet jammin’ daughters. Our family is excited to share our all natural jams, sauces, and recipes with you. We invite you to savor the love – our jams and sauces used as marinades and condiments add the perfect touch to any dish! What are you waiting for? …. spread the love with your family and friends!